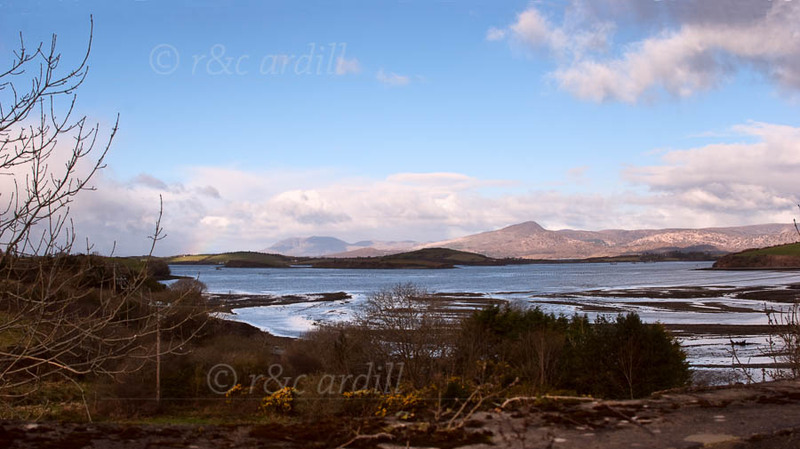 Photo of: West of Ireland: West Cork: Glengarriff. Glengarriff Harbour in the morning. The nearer peak is the Sugarloaf Mountain and the further one with a scattering of snow on the top is Hungry Hill. Both mountains are on the Beara Peninsula with the Sugarloaf part of the Caha Mountains and Hungry Hill the highest peak on the Slieve Miskish Mountains.